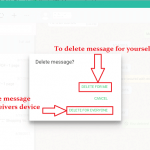 You are here: Home / Delete Social Media / How to Delete LinkedIn Account Permanently? LinkedIn is a professional and employment-oriented social networking site that helps you to popularize your professional competencies and support to achieve your professional as well as the personal goal. In recent year it has grown to become one of the best personal branding tools in social networking world. Good recruiting agencies are highly depending on LinkedIn to find out the professionals or employees they require. You have multiple LinkedIn account or found LinkedIn account not up to your expectation? Sometimes you may not find LinkedIn not up to your expectation. You can always delete a LinkedIn account. If you have a premium LinkedIn account, you can cancel the premium access only. Canceling premium access still keeps your basic free account. 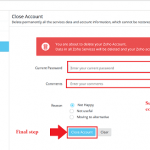 If you want to delete LinkedIn account for any reason, then you can easily do it. 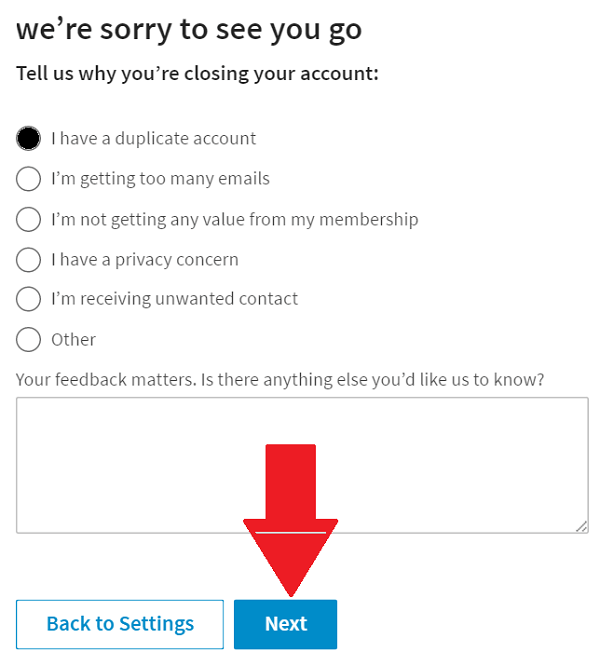 Closing LinkedIn account means removing access to all of your LinkedIn information. Your LinkedIn profile will no longer be visible to your connections. You will lose all recommendations and endorsements on this platform. You can re-open LinkedIn account only before 20 days of closing. Step 1: ?Open LinkedIn Home page on any web browser. Step 2: You will be directed to a login page. 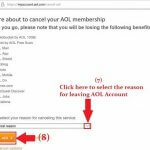 Sign in with the username and password of the account that you want to delete. Step 3😕 Click on the profile picture that lies on the top right corner of the homepage. Step 4: A dropdown list will be seen. From among the drop-down list click on “Privacy & Settings” option. 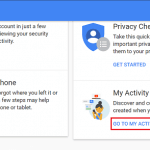 Step 5: You will now be taken to the Privacy page. At the bottom of the Privacy page, click on Closing your account option. Step 6: You will be asked to select the reasons for leaving LinkedIn. Choose one of the reasons and click on next at the bottom of the page. Step 7: A confirmation page will pop up. Re-enter your password to confirm that it is you who want to delete your account. 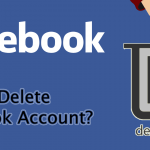 Your Account will now be marked for deletion. LinkedIn will keep all your information for 20 days once you close your account. You can log in with the username and password you have deleted within 20 days and recover the deleted account in case you change your mind. You can not delete LinkedIn account using the Mobile app. It is not currently available. LinkedIn will be rolling out this feature in the coming months. You want to keep the LinkedIn account as it is but receive less email and notifications from the LinkedIn team than usual? Then, on the Communications tab under Privacy & Settings set the frequency of email and notifications. 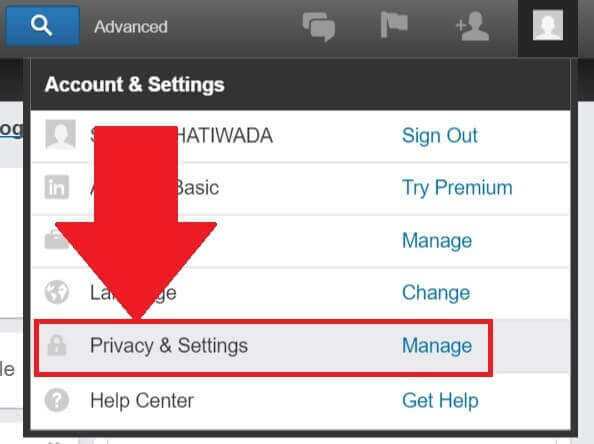 Privacy & Settings page is located at the top right side of your LinkedIn profile page on the LinkedIn Mobile app.